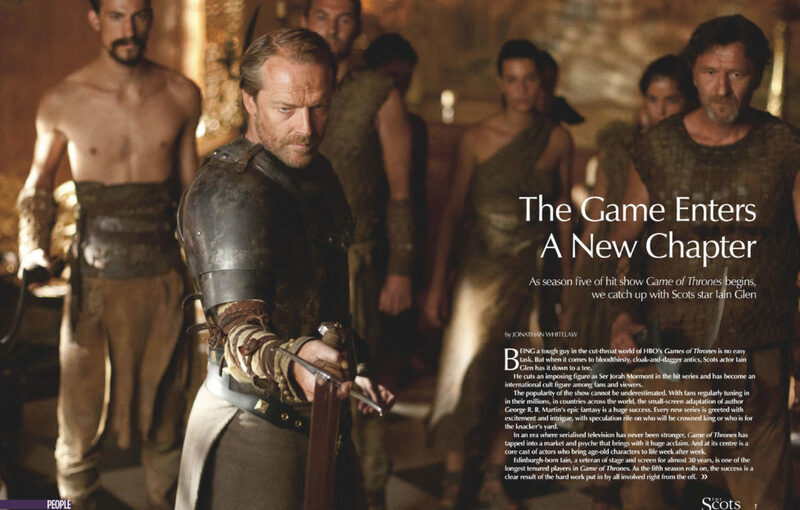 Home » Community » Game of Thrones Sneak Peek! Game of Thrones Sneak Peek! 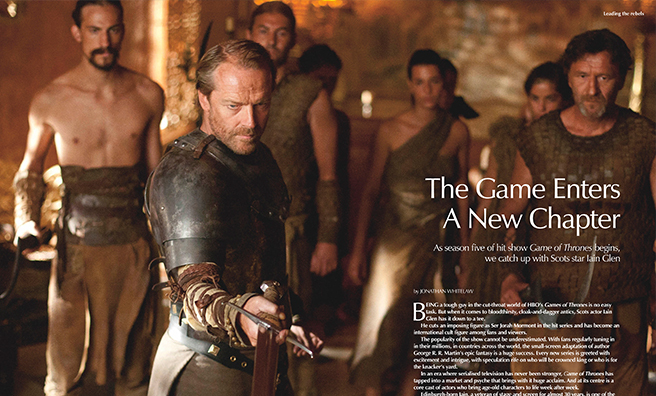 After Monday’s exciting Season 5 premiere, we couldn’t resist giving you a sneak peek of our upcoming issue . . . 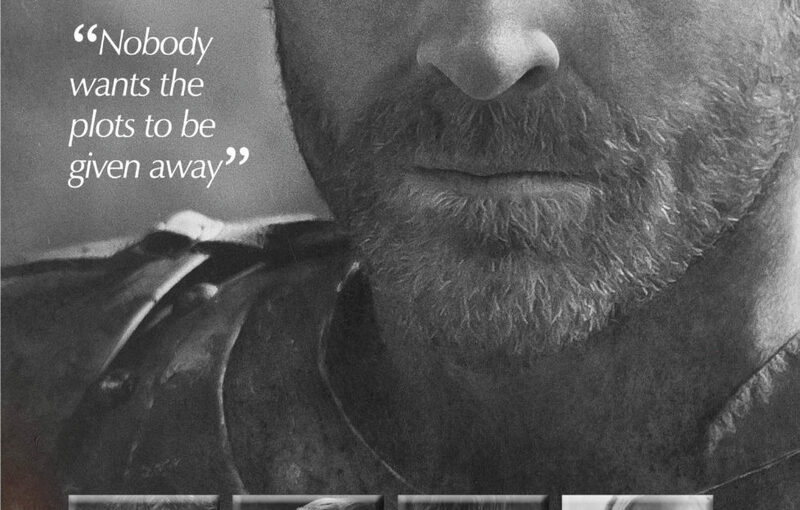 If, like us, you can’t wait for next week’s episode of Game of Thrones, then we’ve got just the thing to tide you over: our May issue is packed with great shots from the show, and an exclusive interview. 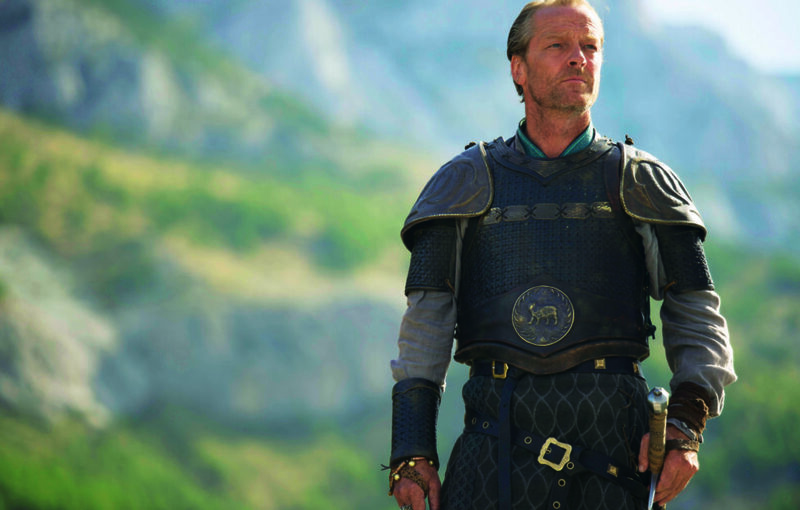 Scots star, Iain Glen, who plays the fearsome and doubly-exiled Jorah Mormont tells us about training for the role; making the switch between high-brow drama Downton Abbey and George R. R. Martin’s fantasy realm of blood and dragons… and gives us a quiet hint of Jorah’s storyline in season 5. 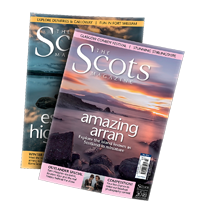 And if the five-page interview isn’t enough, we’ve also profiled the many other Scots actors in Game of Thrones, who, as Iain himself says, help keep the “real Celtic feel to the show”. Sneak peeks of two of our Game of Thrones-packed pages can be found on our gallery on the right. 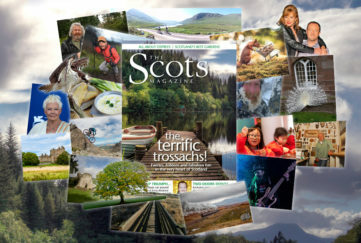 The first copies of our May issue arrived on our desks yesterday, and will be in shops on Thursday. To get your paws on a copy online, click here for a subscription, or here for a digital subscription. 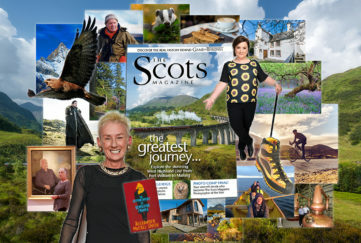 May 2019 Issue – Out Now!